The government’s failure to address electoral injustices is the major cause of disunity in the Country, Migori Governor Okoth Obado has said. 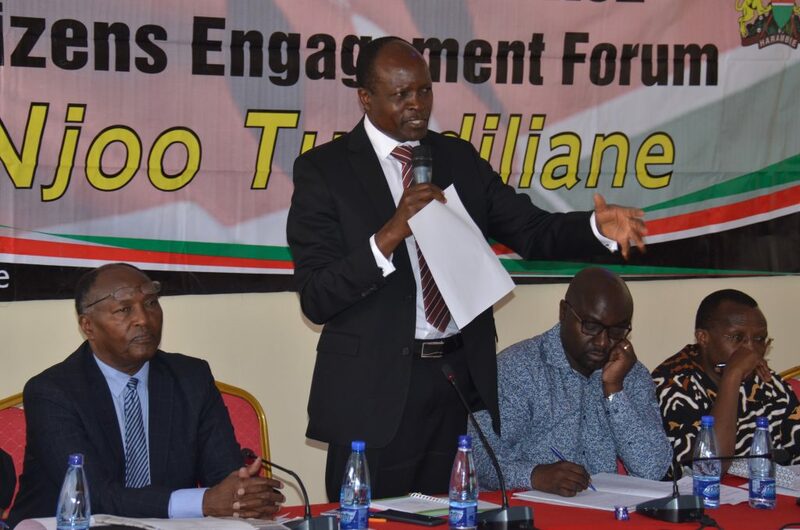 Speaking during a public participation forum by the Building Bridges Initiative team in Migori town, Governor Obado said animosity, ethnic hatred and disunity that has been witnessed in the country in the past were fuelled by electoral and historical injustices. The governor said Migori County has in the past also witnessed violence caused by disagreement between different political factions with the climax being last year’s general election. He said distribution of unequal distribution of resources by the government was also a major cause of animosity in the country. He said this was as a result of regions in the country being categorized according to their political correctness. For instance, the Governor said for a long time, Migori has had no direct appoints into various government positions for being an opposition strong hold. In the County, Obado said political leaders were also acting as perpetrators of violence by inciting groups allied to them against others. According to the governor, some leaders had resorted to malice and propaganda to attack their opponents disrupting the peace in the region. He said he was the recent victim on with corruption allegations being directed at him. “Instead of allowing the agencies mandated to tackle corruption cases, some politicians have resorted to witch hunting and divisive politics just to taint me on the negative,” Obado said. Locals who spoke in the forum also urged the team to focus on police reforms to end the bad blood between residents and the police authorities.